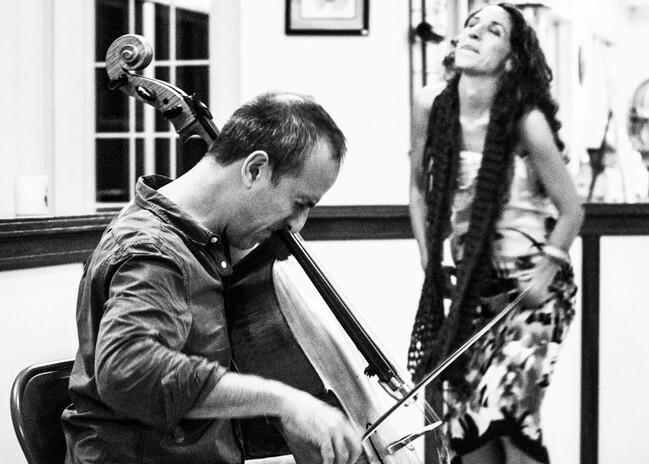 Bethany Yarrow and Rufus Cappadocia are a voice and cello duo from Brooklyn, New York. Bethany is the daughter of folk legend Peter Yarrow of Peter, Paul & Mary; her singing is deeply rooted in the traditional American folk music, blues and spirituals of her early childhood. Rufus is a world renowned cellist who is known for his cross cultural collaborations and taking the cello into previously unexplored realms. Deeply influenced by ceremonial music from around the world, watching Bethany and Rufus together in concert is like watching two spirits weave a river of song, prayer and dance of improvised melodies, ancestral incantations and ecstatic groove.